The CIO role is shifting from provider of infrastructure to customer-facing business partner, while the rise of digital technologies has created an opportunity for Chief Information Officers to assert new importance in the enterprise. Mark Sunday, Chief Information Officer and Senior Vice President at Oracle Corp., explores these changes and discusses his role at one of the largest technology organizations in the world. The conversation examines issues such as the role of IT, relationship with business functions and departments, truly valuable metrics, and the impact of digital transformation on IT. Mark Sunday also shares his connection with Oracle customers and how he oversees the technical integration when Oracle acquires a new company. (00:04) Innovation and one of the largest technology organizations on the face of the planet. That is our topic today on episode number 114 of CXO-Talk. I am Michael Krigsman and I am here with my co-host, for whom superlatives, there are no superlatives that can describe my co-host, Vala Afshar. Hey Vala. (00:31) Michael Crick to be here. I am super excited to learn from Mark Sunday, CIO of Oracle and really happy to have you with us today Mark. (00:46) I’m happy to be here. (00:49) Go ahead Vala, you know Vala after we have been doing this how many episodes 300, 400, will be figured out some sort of signal or something where we don’t coordinate the hang-ups. (01:04) The beauty of this show is that it’s clearly not rehearsed. (01:09) It’s definitely not rehearsed. (01:21) So just a quick technical thing and I know these technical things come up all the time, but I’m hearing a delay. I’m hearing the broadcast seconds later in my headset. (01:39) You know I think make sure that you don’t have our website open in your browser. Mark make sure you don’t have the episode open in your browser. (02:25) Is that better? Sorry about that. (02:30) I’ll tell you a story about that. A few weeks ago we had a guest and I had the episode open in my browser, and just at the moment of where I was about to introduce the guest, it started playing back in a delayed form in my ear and I was totally flummoxed. It was just at that moment I looked down at my computer to figure out what’s going on and it looked like I didn’t know who the guest was. So I know that nobody would ever believe that it just happened at that instant but anyway, Mark tell us about your role and Oracle, and the size and scope of Oracle. Give us some context of what you do. (03:11) Absolutely, so I have been the CIO here at Oracle for now over nine years and when I joined I came in as the CIO of Siebel and we were I don’t know roughly 50,000 end users and over 10 billion in annual sales. Now here we are nine years later and I’m approaching 140,000 end users in roughly 100 countries and $40+ million in sales. So a pretty sized large operation and you know, I’ve had this global role of providing the infrastructure to enable all new uses and lines of business now for quite some time and it’s an exciting ride. (03:53) So during that nine years Mark, you had the privilege to witness lots of changes in IT at a large scale, and growing scale. Can you talk a little bit about how IT is changing, and advice for your peers and colleagues? (04:12) Yeah, I’ve been doing this for nearly 40 years, since I was a sophomore at Michigan and I got my first IT job and I have been doing it literally ever since, and it’s changed absolutely dramatically. I mean we all know of cloud, mobile, social, big data, consumerisation of IT have literally led to the whole digital transformation, and we’ve experienced that absolutely at first hand with the size and growth. And even where our focus has been at Oracle you know over that time. (04:46) For the first you know, several decades of my career, the role of being an IT leader and the role of being a CIO was all about who would integrate these things that we either built or bought or had been around forever. And our job was then integrating all this stuff against long-term plans and then operating it. (05:09) And really what the role of a leading IT organisation is now is to no longer focus so much on integrating and operate, but to really transform themselves to driving more business value by innovating and orchestrating across a wide variety of services. (05:26) So that while Oracle is a provider of cloud services, we are quite frankly an international customer of that, so we are no different than many other organizations, and we’ve seen this big transformation – again leveraging these technologies which is causing you know huge business changes and then IT needs to be put into position to be able to respond to that. (05:51) So historically IT has focused on issues such as security, integration and governance. But you just described a set of changes that are forcing IT out of that historical role. And you’ve seen that during these nine years at Oracle, so how do you manage to get IT to adapt, especially on such a large scale environment as yours. (06:21)First of all let me set some time. When I think about the role of IT certainly at Oracle, but I think this is true across IT organizations in fact any company, that first of all it begins with driving the overall productivity. And I’m using the big productivity and that is the value that organizations are able to drive, and that’s at the line of business, functioning and individual employee. (06:48) And so, that’s one of the key goals is how do we add as much value to not only the lines, business, and functions but actually to each individual employee. And then that’s balanced against risk, and in our mind that’s not only security but also privacy, business continuity, compliance as well as all the threats. (07:10) And then the third thing that we got going is continuing to do what we do and do it better. You know, drive efficiencies, drive operational excellence, and make it more agile. So it’s the balancing between driving value for the business, doing so while managing you know an acceptable level of risk, and continuing to make the investment and bettering ourselves and that’s the three things balance across potentially I think all IT organizations. (07:42) So we have really a fourth dimension that we are very active in, and that is I’ve set the goal of first of all being the biggest influencer of Oracle technology. You know if you look at the broader IT community, my team and others at IT Services directly in line with our businesses, we are by far the broadest implementation of Oracle technologies anywhere, and also have the largest scale in many ways. (08:12) The second thing is being the first adopter, you know really embracing this technology long before in many cases that the lights stay on. You know being involved hand in glove with the product development teams, and we look at what products should and could do – not only from the capability, but how do we make the scale reliable? How easy is this to maintain? And quite frankly we have 140,000 internal guinea pigs for us to be able to explore new things. (08:45) And then lastly you know doing what I’m kind of doing now is by being the best promoter as to what we do. So you know when we look at what we’re doing is of course we have the mission of security and reliably by providing the infrastructure and operational services our company requires, but on a much larger sense is what can we do to drive value, manage risk and really in that other role that my team fully embraces is, what can we do along the line of helping our products teams put together the best possible products and services for helping other customers. (09:30) I read a Forbes article written by you where you talked about the importance of being accessible to your customers, and also accessible to your peers, you wrote in another Forbes article about BFF, being a best friend and with different lines of business, whether it’s marketing CMO or finance the CFO. 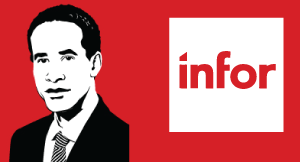 Can you talk a little bit about your role as the CIO and how you make yourself accessible – not only to Oracle external customers, but your internal customers like marketing, financing, engineering, supply chain and so on and so forth. (10:07) Okay, so first of all let me start internally. You know fundamentally how my team is structured is embedding you know key senior level folks with each of our what we call strategic stakeholders. It could be an important function like marketing or finance, it could be a line of business like our cloud services. You know which is embedded to us so we really understand what are their goals, strategies impersonations, and what are we doing for them. (10:43)And one of the key things that we do is also assess of how much are they taking advantage of the services that we offer. And so that kind of thing is what allows us to really you know help ensure that were driving value. And in fact the people that play this role within my team, how they are measured is what is the cumulative value derived by the stakeholder in which they represent. And so that’s by us making stuff better for them and new services and new products, but it can be just by extending the adoption. (11:21) And then the rest of the organization is then aligned to drive services across that. So on one hand we have stakeholders in one dimension but (prognal?) to that I have folks that are responsible for each of the services we offer. Then our global team that in fact my organization is spread across 50 organizations that takes advantage of our mantra of simplifies, standardize and centralize to then enhance these services that we use across the entire company. (11:59) Externally though I very very active in working with our customers. First of all my absolute favorite part of my job is the opportunity to go up and learn about you know, entirely businesses I didn’t know existed. So go up and meet with our customers and learn about the businesses. Learn about their business strategies, their business outcomes they’re trying to achieve, and by the way how they’re employing technology. Even this culturally, how they’re structured and how they deal with some of the challenges that they have. (12:35) Then extending beyond that I’m the executive sponsor like other executives at Oracle for just a small number of our most strategic customers. So for example General Motors,Dow Chemical’s, Capital One are customers where I take the executive sponsor role and really get to meet with them frequently and understand their business opportunities and the business challenges. (13:03) Beyond that, one of my sweet spots is a forum where we do CIO roundtables we’re engaged with you know 15 to 20 folks and have a really active dialog where we all learn from each other. But then of course to large big events and certainly not as flippant as (Yola? 13:24)but involved with you know from time to time doing various articles and videos and so forth, all about kind of sharing you know what I’ve learned on this journey. (13:38) And interestingly enough a relatively small amount of what I often talk to our customers and larger forums about it less about technology and more about leading really a global enterprise that’s moving very very rapidly. (13:56) So this is a very unusual role for a CIO to have, being the executive sponsor for extremely large or significant or strategic accounts. (14:12)So not very many CIOs in the whole scheme of things, they are selling products to customers which technology is an integral part. You know we happened to be the largest consumer in breadth of products of Oracle products, and also we’re acompany that operates globally. We operate at a large scale. We’ve done, just under my watch over 100 acquisitions, so a lot of these things are you know public areas that companies are very interested in. (14:48) You know, we went through a transition beginning of 1998 to truly globalize, globalize our organizations, globalize our business processes, put in place global scale shared service centers, where we draw a huge financial return, huge improvements in terms of our ability to execute well. And probably one of the biggest enablers is that it really positioned us as a company for all of these acquisitions assimilations that we’ve done, you know over the last decade. (15:28) So you know our customers at all levels, you know are interested in learning not only from Oracle, how do you get the most out of Oracle technology, but also we’re an organisation that they look to learn from on just how we operate. 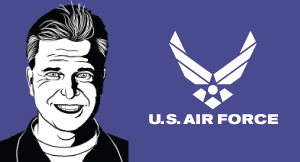 (15:44)In fact, one of those opportunities next week, I’ve been asked by Terry Halvorsen the CIO for the Department of defense, which potentially is the largest CIO budget in the world, over $30 billion, as well as a number of his colleagues and the CIO from the UK as well. And what Terry asked me to come in and talk to everyone about is how we run Oracle as a global multifunction, multi-line of business enterprise, yet simplifies standardize and centralized, because that’s what Terry would like to accomplish across all the different effective lines of business within the DoD. (16:29) You have written about revising the foundational idea upon you know which IT operates, can you talk a little about what that means? (16:39) Well for me it goes back to what I touched on early on, that when I joined Oracle nine years ago I had an organisation that was structured in some regards around line of business, and a whole team for example of over 100 folks committed to supporting an (open university)Business. (17:03) Or another one at the time was called our on-demand services, or another one might have been functioned but I had these kind of sizeable silos and I felt like I was the chairman of a holding company that each one of these – in fact, one of my directors kept referred to about running his business. And it seemed that as an organisation, put us in the position of heavy multiple doors, and if you didn’t like the answer somewhere you go somewhere else. But also we look like multiple organizations. (17:44) So we did a fundamental transformation were going to the organisation that I had touched on a few moments ago where we were aligned by embedding folks into our key stakeholders, and then trading everything is services across the various capabilities that we delivered at the enterprise but having those as appropriate service – all the different stakeholders. (18:09) So for example, marketing certainly has huge demands relative to everything that we are doing both on live and on demand video infrastructure, but also our lines of business whether it’s you know the folks that are you know supporting all of our hardware products and to help people around the world. Well they want to be able to on demand instantly be able to get content right to the person at the point of me as to instruct them how to place of power supply if so needed. (18:45) So my point is that there is a lot of organizations that have different, but in many cases similar and overlapping needs for service such as video. And then what we then do is engineer how do we provide a roadmap that meets the needs, and driving the most value for the entire enterprise and spending all of these services. So once again, got rid of the silos within my organisation and really put more of an end to end surface structure that allows us to not only be fast, but also deliver a higher quality services. (19:23) Mark in your opening comments you mentioned digital transformation, the impact of cloud, social and mobile, so maybe can you share with us your view on what exactly is digital transformation and what’s the impact of it on IT? (19:50) So what’s happening is the total IT spend is about $2 trillion, and if you look at it a trillion of it is enterprises, and that’s remaining fairly flat. But you know relatively recently we’ve gone from where businesses were the largest spenders in technology, to now its consumers. And that is growing very rapidly, and so the expectations around consumerisation is certainly having a big impact on what the opportunity is and what people are looking for in terms of how they engage with everyone that they do business with. (20:34) So what digital transformation has done, the pulling together of sitting on top of cloud platforms, but leveraging social and business insights via big data, and certainly the mobile has changed everything. And I think that’s just the beginning now that we are seeing an ever increasing use of Internet of everything. That IT as organizations, just as I pointed out earlier can’t be marked down in the integrate and operate, and really need to sit on top of and leverage you know these technologies. (21:17) Because what’s happening, as business models it’s never been more challenging to head up a business because you know are being disrupted on so many different vantage points. Various countries have all been eliminated in many industries, and so businesses need to be able to respond at the speed of opportunity, and now because technology is at the core of every business, IT has to be right there with them. (21:46) So digital transformation for me, is a series of technologies that are fundamentally changing of how you drive value, and IT has to embrace that as a delivery platform for them to offer value to their business and ultimately their customers at a pace that’s unparalleled to anything that we have ever seen in the past. (22:09) Mark what are some of your business related metrics you use to evaluate IT success? (22:18) Number one, entering in the game for us is we have to do everything we do better, faster, cheaper than we did this previous year. I mean that’s just the expectations going in at Oracle. (22:30)So, one thing a little bit different that I really like at Oracle is that I go in and negotiate a budget for my organisation and essentially with Mark Hurd and (?unclear on the name) at the beginning of the fiscal year, which we are at day five of today. And I don’t go around with a tin can to various lines of business functions and other stakeholders. You know, I go in and I’ve got a sizeable amount, and so my job is then to see that we most effectively deploy those financial resources and then correspond on our human capital resources, to deliver as much value as we possibly can. (23:16) So with that we then focus on where those opportunities that we can you know drive that value, reduce the re-occurring operational maintenance things, and really put as much towards innovation and creating new value and enabling our businesses to drive effectiveness. As well as you know I personally put a great deal of focus on each individual employee, what can we do to improve their life from you know first being recruited to certainly on boarding all the way through their whole career at Oracle. (23:59) And you mentioned earlier that some of the metrics that you have and the expectations obviously aligned with that relate to the type of relationshipthat you have with your internal customers, external customers to ensure that they are actually getting the business value that they expect from IT. (24:22)Absolutely, so like I said, when your entering the game is that you are just doing everything better, faster, cheaper but then what is really important to my lines of business is what are we doing to help them drive more value, and that’s really what I really insist that we measure each of our teams that are engaged with our stakeholders, is what are we doing to drive more value for them? (24:45) And so that starts off on a number of fronts. First of all, everything that we do has to work well, and by working well that’s not only on how that it works but it’s providing performance and access, and perhaps even more importantly its ease of use, and that’s really what drives adoption and helps people be more effective. (25:09) And so whether it be metrics that are at the entire business or function level, but also things looking down at the individual employee level, what are we doing to improve their overall productivity. And, it’s always in terms of in the business value, what the business end game is. You know, no one cares about my reporting on availability, reliability, and a number of incidents what have you. They want to hear it in terms of, what are we doing for their lines of business or the employees that work within them. And then even more importantly and expanding out and what are we doing to drive value for our customers. (25:53) Mark, in again some of your Forbes posts are great so I encourage our audience to Google Mark Sunday Forbes and read your incredible thought leadership. You gave some advice, you said, always keep your eye on the big picture. You said, for opportunity and hire people that are smarter than you. So be forward looking and surround yourself with smart people and knock on opportunities door. So when we talk about digital transformation you know, what is the impact for digital transformation on IT and actually need to follow your advice in terms of not just being opportunistic, but smart and forward looking in order to really deal with the avalanche and the velocity of innovation that’s in enterprise today. So can you talk a little bit about advice regarding digital transformation and IT readiness? (26:47) So one of the things that you know I’ve pointed out you know multiple times is that I’ve been doing this gig a long long time. And I can remember the era, long before your time Vala, but I can remember the era of our looking in our crystal ball and anticipation the future, and the whole thing of having five or 10 year IT plans. (27:16) So you know, a couple of years ago, I think it might have been Gartner had coined that we need to move IT strategy and budgets from anticipate to respond. And that really resonated with me because that’s exactly what I’m seeing at Oracle. You know, we’ve gone through a lot of change as we’ve continued to dramatically expand our business, whether it be in during my 10 year, into the verticals, going up and down the stack going all the way into the hardware, and then you know the tremendous push we have in cloud. (27:54)Well with all the things that we do, we’re not going to be able within the IT organization to anticipate everything that’s happening and that’s only at Oracle. Then you extend it onto our customer base and our consumers of our technology. (28:09) So in this whole model of moving from anticipate to respond, well how can you respond? Well, what you do is the only way you can respond is futureproof everything that you’re doing. It’s the futureproofing. It starts off with the overall IT strategy. How are we going to have a strategy that enables us to be nimble? You know agility is perhaps the most important thing that we do in order to serve business. But then once you have your strategy, well then how do you organize for that? and then you extend then, well what are your processes that enable you to respond. And then you ultimately you want a technology platform that is spongable, that’s flexible, that’s agile and can be continuously evolved. (29:01)So all of these things are core to enable us to ride the opportunity that digital transformation’s offering our company and our employees. (29:15) Do you see digital transformation and a long with it shadow IT and a long with it the growth of technology sophistication and software sophistication in lines with business and functional departments – all this together. Do you see this as a driver of making IT less relevant or a driver as making IT more relevant because I’ve seen it argued in both directions? (29:46) Okay, so first of all in my almost 40 year career in I looked at companies that have been nothing but high technology companies. So in every case and now at Oracle there’s 140,000 people who know how to do my job better than I do. (30:03) So, you know I've never looked at that as a challenge, I actually looked at it as an opportunity, because they understand the complexities, and you’re not having to pull them along, they are wanting to help pull you along. But that’s you know, we mentioned the word shadow IT and I really like what (Ref Larkin?) Came up with when he was at Korax? , and he didn’t use the word shadow IT. He used the word ‘shallow’ IT. And what that is, is really taking advantage of the resources, financial, capital, and human that exists out in the various organizations, and figure out what role corporate IT plays. (30:52) And there are some very very important roles when you embed yourself and partner. In fact if they have resources, they also demand expertise, how do we drive as much value for our company? So don’t resist it but actually you know embrace it. (31:08) And this whole concept is that figure out what IT – corporate IT dollars, and does well and look at where you should participate. So for example, you know if things have scaled. You know I’m one of the few organizations that in Oracle that has people in 50 countries and then we extend out our infrastructure it’s nearly 100 countries. We have all the processes and practices around security, but then you extend on into other things like even contract, and large-scale program management. (31:44) So what we want to do is embrace, for example our marketing organisation, who has done some incredibly creative things and then add value whether it’s the things that they are doing in terms of customer experience where we’re leveraging technology to really tremendously enrich the relationship that we have with our customers and nurture them along the way and not you know engage our sales organizations at the appropriate time. But also provide people with the right content, at the right you know kind of pace that is personalized for them. (32:22) Well that’s great great stuff and figure out where it makes sense for us to fit in. You know, another place you know once again talking about marketing, but then extending across the whole organisation is one area that we are tackling now is media management. (32:38) We have found that under a number of organizations around Oracle, had approached this whether internally or leveraging externally, but you know had various strategies for managing the ever increasing amount of media content that we have. But you know organizations must be thinking God, there’s got to be synergy and value by us putting a lot more eggs in one basket and really watching that basket. So that’s an area where we’re you know coming in with centralized services so we can uplift everyone’s capabilities. (33:21) So, I know it’s one of the things that’s high on your list and that’s talking about innovation, and one of the key drivers for enabling innovation at Oracle is the ability to centralize the resources around the mission, and have them do it on a multi-line of business, multifunctional, and multi-geography point of view. (33:49) Mark, as a CMR I just want to thank you for it’s just beautiful to hear you talk about you know your collaboration with marketing, and to hear a CIO talk about segmentation and precision marketing and buyer journey all of that. So kudos to you because that clearly is evidence that one of your best friends must be the CMR of Oracle and that’s just awesome and we did talk about innovation in before the show. We talked about you know a software upgrade to Tesla where you can reduce the 0 to 60 time by a second plus and how amazing that was. And I know that you’re an executive sponsor to you know large car manufacturers, Internet of things. You know, all of this incredible innovation around you, and you were for one of the most innovative companies in the world. What are some of the challenges that you face as a CIO when you obviously have a massive thirst for innovation and technology. What are some of the challenges that you face, and how do you overcome some of these challenges? (34:55) Okay, so first of all the challenge that we have is just our scale. So 140,000 end users in nearly 100 countries, we on board about 25-30,000 new people every year. And these aren’t people just doing kind of repetitive tasks, these are you know true knowledge workers, whether they are people in our engineering rounds, sales rounds, marketing, and other things like the finance and so forth. (35:25) So how do we do not just deal with stuff at that scale. Now, the key strategy that we have I alluded to earlier that makes this all possible for us is simplify, standardize and centralize. So while I think you can appreciate how that can drive operational excellence, lower cost, help you increase your margins. But what I think often gets forgotten is that even perhaps more important than that is the number one enabler for being fast is being the same. For my team to implement some new capabilities, because we are the same around the world, you know we can do it very rapidly because it can then be layered on. We don’t have to worry about how are we going to make this work with 10 different telephony switchboards for example. (36:18) Likewise if we want to change anything that we are currently doing, since we have one way of doing it’s you know very easy for us to morph that on a global scale, and of course it helps to have a culture that that’s just embedded as how you know we operate. (36:37) In fact, just yesterday on CMBC, I saw an interview Salim Ismail from Singularity University, who wrote the book, Exponential Organizations. So Oracle was recognised as one of the 10 Fortune 100 companies that are the top 10 in terms of being truly and exponential organisation so being agile, being flexible. So that is made in our culture from Larry (? Unclear (37:12) from Oracle, all the way through, every employee in the company is, what can we do to be agile? What can we do to be flexible? What can we do to be fast? (37:21) So all of that you know certainly helps. But, when we talk about challenges the first thing is the scale. The second one I want to point out though is if you think about it, there is no IT organisation on the planet that has a bigger quiver of technology arrows than ours does here at Oracle. If you think about it, my team has access to every technology Oracle’s ever built. Every technology that Oracle’s ever bought, without having to pay for it. So I mean you know, we just have unlimited access. (38:00) So one of the biggest challenges is my team every day have 1000 great ideas, absolutely fabulous ideas. So just because we can doesn’t mean we should. So that’s actually one of the toughest things is because my nature is to want to say yes, but we have to figure out where we should say yes. (38:27) And equal to that is that if the dog doesn’t hunt, don’t feed it. We need to make sure that we are constantly looking at everything that we were doing, and being more than happy to kill something proudly in what seems like a good idea yesterday, might not seem such a good idea today. (38:44) So the two things is the big challenge is because of our scale and I think we standardize things and make things a whole lot easier. And then the second one is we have unlimited possibilities. How do we narrow down in what we are really going to do, and then once we commit to something be agile. You know, be able to you know change if we need to make course corrections, or in fact you know kill if it’s something that doesn’t make sense. (39:14) Do you have a formal innovation programme in place. And by the way I should mention we all have a few minutes left, and we have lots still to ask you. So, now may be keep your answers on the shortish side and will rush through an hour with of questions in the next five minutes. (39:34) Okay, we don’t have a formal innovation process but we have an innovation culture. Starting with the people that are really creating our next generation services, to even those folks that are the equivalent masquerade of installing the tires, the culture is how do we do everything better, faster, cheaper. (39:54) So that’s the continuous improvement, but also I really enjoy is those transformational you know those team changers, a totally different way of doing things, so always looking for those opportunities as well. (40:09) Mark we have had start-ups, CEO’s and founders on our show. We’ve had lots of venture capital folks, so a good push of our audience are start-up folks, do you work with start-ups and if you do, what advice do you have for start-ups who are looking to approach your organisation for potential partnerships. (40:33) So we work with start-ups to some level. First of all I love engaging with start-ups because it always costs me to challenge or think out of the box or to look at new ways of doing things. So, there is a lot of great ideas that we are able to get, but on a related note to be able to give input and feedback as to help them you know build their business. (40:59) On occasions we’ve actually acquired start-up technology. We’ve placed a large incumbent and we’ve got cases now we’re fully deployed on a global basis and probably the most significant customer. On a personal level, you know I like to keep my ear to the what’s going on, and one of the great pleasures I have is that over the last couple of years I’ve been on the selection committee of the Utah Innovation Awards, so it’s been very cool to just say you know all this innovation, whether it is in my space, enterprise committee, or in other spaces like biomedical devices, other life sciences but consumer products and so forth. So you know at all levels. (41:49) So again we only have a few minutes, but we cannot leave without briefly talking about technical integration as Oracle acquires businesses. Can you very quickly, give us a sense of the number of businesses at Oracle has acquired, and what is your role in bringing those companies into the fold? (42:13) Okay, so first of all it’s been over 120 in the last decade and are I’m like other organizations that we have this playbook that we continuously refine in order to how we assimilate companies. Let me give you my quick version of the guidelines of which we follow. (42:38) First of all as I’ve already mentioned with the number one enabler for IT effectiveness is freedom from choice, so being incredibly standardized certainly helps. And then, you know the mantra we have relative to acquisitions is that we don’t integrate, we eliminate. So in other words we eliminate anything that’s duplicate, eliminate networks whatever. We go in and we literally rip and replace in the securitycommunications, applications infrastructure. We’re like the board, you will be assimilated; resistance is futile. (43:15) But beyond that, one of the things that we are really proud of, and this starts from my first day, and my first team at Oracle, when we were being acquired when I was at Siebel, and the first meeting we had is what do you do that we want to make sure that it doesn’t get lost along the way? Who do you have? So I being the Californian Company and yes I apologize for short answers, but I’m not good at that. I’ve been a Californian company at every one of my employees engaged with a major acquisition, think of themselves as a prospector. (43:48) I don’t want to hear about all of the blocks that you run into. I just want to hear about the nuggets of gold. In fact, I’m going to incentivize for you to find those nuggets. Who do they have, what do they do, what technology is employed that is better than what we do? So we not only retain it, we make it the standard across Oracle. (44:08) So I’ve been unbelievably blessed for the last nine years because we’ve acquired a lot of real class technology companies that you think have a thing or two going within their IT department and we are able to absorb that. (44:20) Another couple of ones is that I’m a huge believer of one team. On the day, on the very day of Legal Entities merged, for example which was February 15 of 2010 for Sun Microsystems, a very very big company. On that very day Sun IT ceased to exist. If you are a networking person, you’re part of the network team. If you’re a product manager, you’re part of the product management team, service desk etc. (44:46) In fact, if you’re running data centers, I actually thought that this is also from Sun was a strong incumbent I had at the time. For instance, from this day we now own Oracle data centers as well. So the next thing is focus on one team because teams if you keep them separate teams will find areas to disagree on. (45:07) And then kind of the last thing is that I think it’s inherited across Oracle culture is the fundamental belief,‘we can recover from a poor decision, there is no recovery from indecision.’ So make decisions very rapidly, but understand while the majority of them are going to be right, occasionally you need to make a a new course direction and be ready to do so. (45:30) Okay, and what is the hardest part of acquiring all of these companies and integrating them? (45:38) Well where we run into challenges is the first 65 or so we did were software companies and our playbook – I have come from the semiconductor industry and I spent you know 20 years there, and it’s all about continuous improvement and cycles of learning. But we got really really good, and then we were thrown a horse with a different color and we acquired a hardware company, and so an entirely different paradigm, different processes and so forth. How do we stick with our mantra and you know that was a big challenge for us. (46:13) More recently cloud companies, you know there is a different aspect to them and then most recently, our last kind of sizeable acquisition was Micros. Which does the point of sales, terminals for hospitality and involves retail, and so once again there are new business models and things. But in each case we’ve stuck with our mantra of expanding our applications, involving our business processes, and expanding our infrastructure so it casts a net over everything we do at Oracle. (46:43) Mark my final question to you is tell me what you love most of all about Tesla. (46:50) It constantly is getting better. I mean if you think about it automobiles for the last hundred years what you bought is everything you could to try and keep it in that shape. But with the Tesla I received it on February 28 and so here we are June 5 and I’ve received six updates. So some of those updates have been advancements and moving more and more towards semi-autonomous driving. Others have been to expand the ability to deal with long trips, relative to understanding your energy consumption. As you alluded to earlier from the update from about three or four weeks ago put 1.1 second on my 0 to 60 time. And over the next couple of months we’ll move from a kind of intelligent cruise control to truly semi-autonomous driving, so I love that it’s constantly getting better. (47:54) Okay well, we have been talking with the Chief Information Officer of Oracle Corporation, Mark Sunday on episode number 114 of CXO-Talk. Mark, thank you so much for taking the time today for joining us. (48:13) I am Michael Krigsman, my glorious co-host Vala Afshar and I hope everybody who’s watching does two things, number one subscribe to our newsletter, and number two, come back next week and we’ll see you next time. Bye bye. 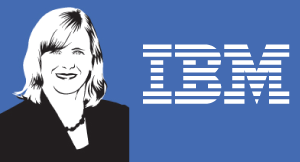 Meg Bear lives and works at the intersection of people, business and technology. She is Group Vice President of the Oracle Social Cloud. 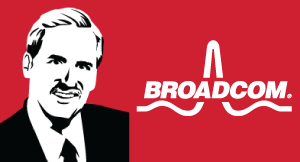 William H. Miller Jr. leads Broadcom's information technology strategy by scaling and optimizing information systems to operate seamlessly .Miller served more than 25 years in a variety of information technology leadership roles. Oliver Bussmann is the Group CIO for UBS AG, based in Zurich. 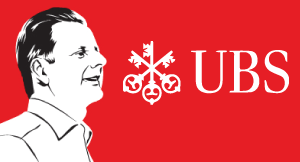 UBS is the biggest bank in Switzerland, operating in more than 50 countries with about 63,500 employees globally, as of 2012. It is considered the world's largest manager of private wealth assets; with over CHF2.2 trillion in invested assets, a leading provider of retail banking and commercial banking services in Switzerland. 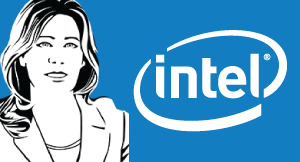 Kim Stevenson is the Chief Information Officer at Intel. Previously, Kim was the Vice President of IT and the General Manager of Intel's worldwide. infrastructure components.